Rooted in a culture that supports and inspires the ever-evolving artistic voice, Berlin Dance Institute offers a comprehensive, demanding and exceptionally creative 3-year Contemporary Dance education programme. We have a faculty of outstanding dance lectures, many of whom are also performing artists. As well as a variety of international guest choreographers and teachers, who thoroughly prepare our students for a career in dance. Our 3-year Contemporary Dance education programme is focused on developing an all-around adaptable dance artist. It encompasses exemplary technical, choreographic and performance skills, which ensures a career in the dance world. Through highly intensive studio based learning, our core curriculum includes the relevant techniques to build a dance artist. Techiques such as Cunningham and Graham based modern plus a variety of contemporary styles, are supported by Classical Ballet, Floor Barre/Body Conditioning, Pilates, Yoga and Partnering. The curriculum is supplemented with guest lecturers providing additional compatible classes in Flying Low and Gaga technique for example. Our versatile range of classes set the foundation for students to understand individual physicality and its capacity for movement. 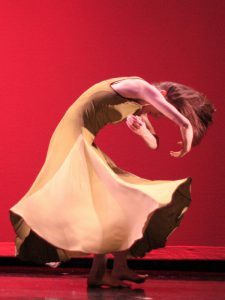 An essential aspect of dance technique is building coordinative, sensory and physical skills in addition to developing a solid sense of precision, placement and alignment. Our approach at BDI is grounded in the assumption that creative investigation and contextual understanding are essential to the training of dance artists. Creative and individual development is a critical component to student’s advancement and our faculty nurture artistic development. Throughout the 3-year Contemporary Dance education programme this is sustained with intensive movement research through improvisation, contact improvisation, composition and choreography. BDI recognises and develops the individual. Creative skills and tools enable students to delve quickly into the dance community where they constantly inspire and learn from one another. This creative process enhances artistic and creative potential. At BDI, it is imperative that our students understand the connection between technical training, creative investigation and performance. Our Contemporary Dance education programme has extensive opportunities to acquire stage experience, therefore furthering performance skills. We offer a variety of semester works, performances and outreach projects. This boosts students’ ability to develop their dance voice, and bring choreographic ideas to fruition. In addition, Repertoire classes encourage students to focus, analysis and embody a wide range of choreographic movement. Students are also encouraged to collaborate with fellow students to create dance studies. Essential to this approach is a constant flow of guest choreographers presenting a multitude of choreographic methods and styles. Completed performance projects are presented in house as well as in other performance spaces in and around Berlin. Independent research, company apprentices and undertaking teaching or leadership roles are encouraged. An independent project is an essential component in the final year. This involves both theoretical and practical research, which leads to a written dissertation and the performance of a choreographed work. Theoretical courses include anatomy/injury prevention, nutrition, dance history, music theory, audition preparation and cultural and financial management. These modules support and deepen students dance knowledge. Throughout the 3-year contemporary dance education programme the focus is to immerse students in the technical, choreographic and performance process. Enabling them to amass the individual and professional skills needed to achieve the goal of becoming a successful and resilient dance artist. The 3-year contemporary dance education programme at BDI provides the next generation of dance artists the endless possibilities that dance encompasses. We welcome inventive, creative and enquiring individuals from all nationalities and backgrounds who are inspired and curious about finding their artistic voice.